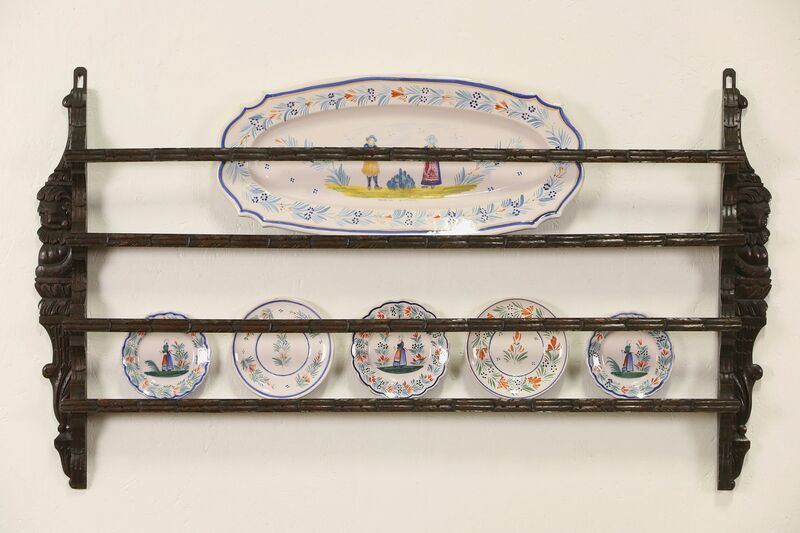 Hand carved with a man and woman figures in Holland in the 1890's, this oak wall rack could display plates, jewelry, cards or whatever. The original finish is very well preserved on this Dutch antique. Size is 46" wide, 26 1/2" tall and 2 1/2" deep, the lower shelf will accommodate plates up to 9".